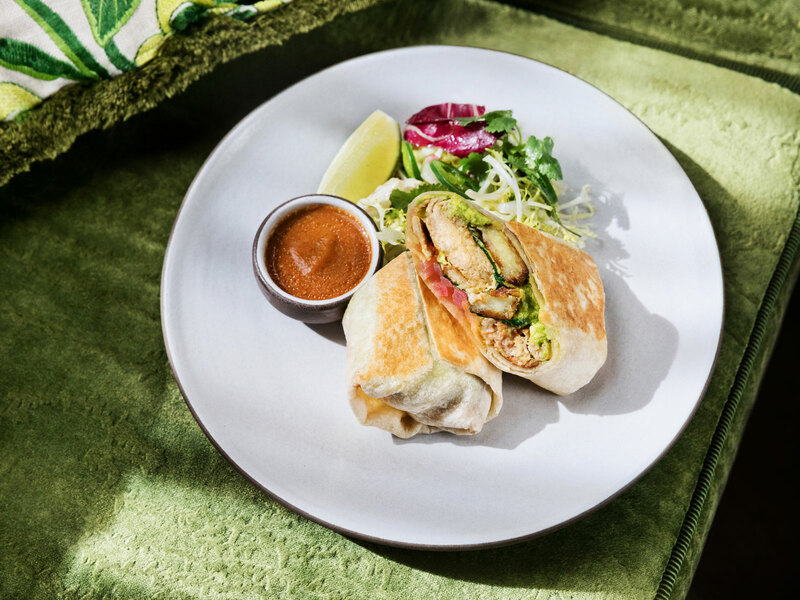 Mendocino Farms is serving a sandwich inspired by Cassia’s chickpea curry. “Buy a sandwich, feed the homeless,” says Bryant Ng, the chef/owner at Cassia, a restaurant that is constantly fighting for human rights. Cassia and the fast-casual Mendocino Farms sandwich chain are collaborating on a sandwich inspired by Ng’s chickpea curry. The sandwich will be available from March 12 to 25 at Mendocino Farms. All of the profits from the sandwich will be donated to The People Concern, a nonprofit that provides shelter, meals and services for the homeless, domestic violence victims and those who are in need of food. One of The People Concern’s shelters, Samoshel, is just blocks away from Cassia in Santa Monica. Pizzana chef Daniele Uditi is extremely particular about maintaining the quality of his “neo-Neapolitan” pizza. He even invented his own serving tray with holes that prevent pizza from getting soggy. So you shouldn’t be surprised that he’s thought a lot about creating the proper system for pizza delivery. 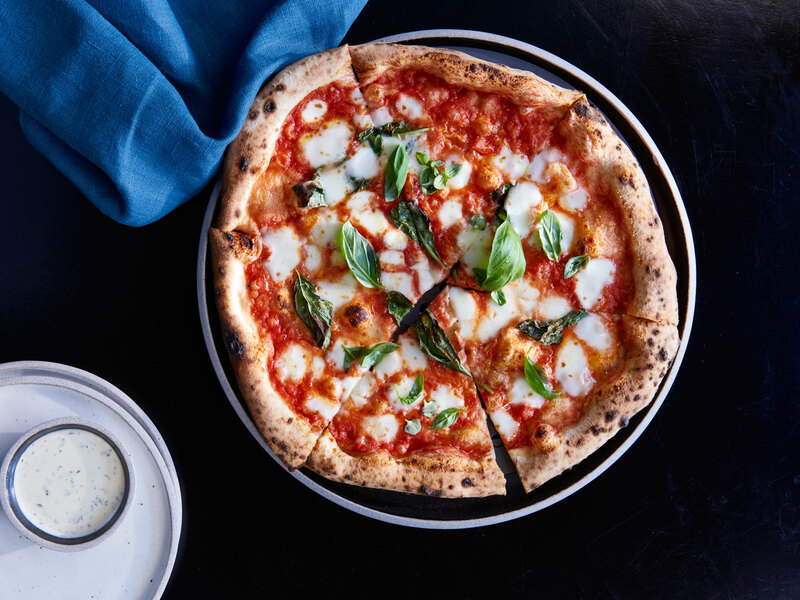 The extremely popular Pizzana opened in Brentwood last April with Sunday gravy pizzas, truffle-topped pizzas and chorizo pizzas, and Uditi is finally ready to offer delivery and takeout. For the best experience, Uditi suggests getting the heat-and-slice option, which you put directly on an oven rack for approximately two minutes at 500 degrees. 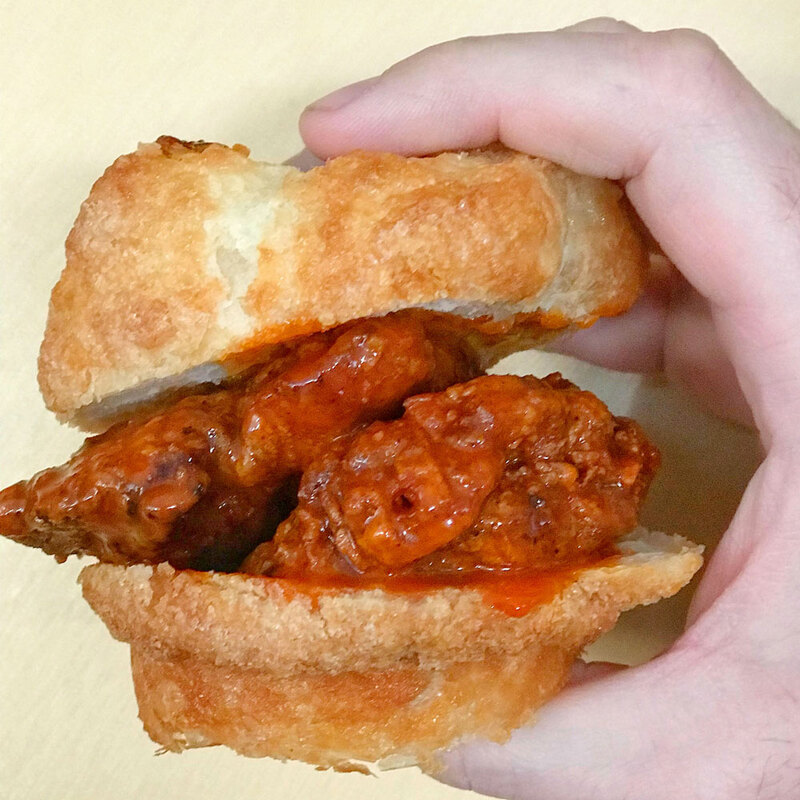 There’s also a ready-to-eat version. You can order either online. 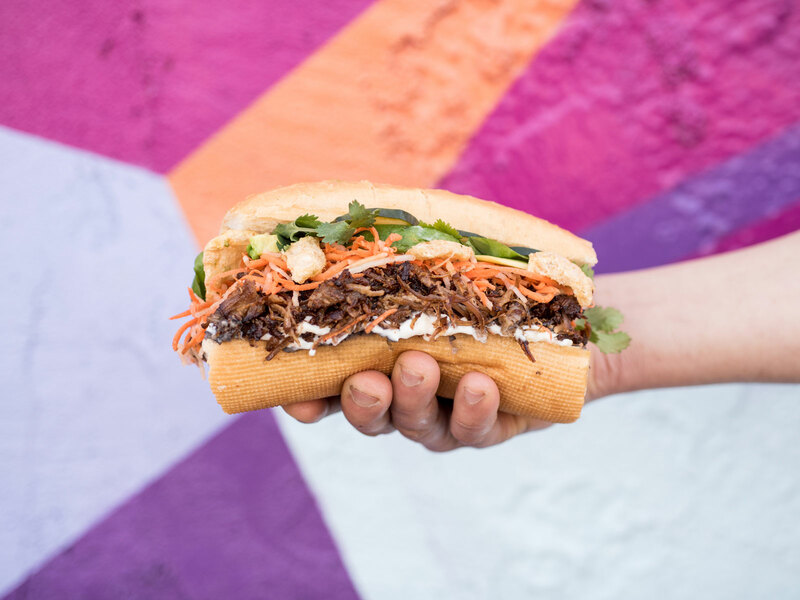 Eric Greenspan has launched Chino, a delivery-only concept with orange chicken burritos, bulgogi quesadillas and carnitas bánh mìs. Greenspan is working out of an “incubator kitchen” and plans to announce other delivery brands in the coming months. Daniel Humm and Will Guidara’s downtown L.A. outpost of The NoMad has started weekend brunch in its Lobby restaurant with new dishes like a suckling pig breakfast burrito. There are also baked goods from executive pastry chef Mark Welker, as well as Bloody Mary variations from bar director Leo Robitschek. Also downtown, Steve Samson’s Rossoblu has launched brunch with lemon ricotta pancakes and an over-the-top burger topped with ragù Bolognese. At Freedman’s in Silver Lake, James Beard Award semifinalist Liz Johnson has a new brunch featuring babka sticky buns and the “baller bagel” with smoked whitefish, caviar and cucumber. Top Chef superstar Shirley Chung is working to open Ms. Chi Cafe, a dumpling-focused Culver City restaurant with assorted Chinese snacks and caffeinated drinks. She’s also planning to hit the festival circuit hard this year and has already announced that she’ll be cooking at Arroyo Seco Weekend on June 23 and 24. Meanwhile, fellow Top Chef contestant Bruce Kalman will be at Arroyo Seco to showcase the food he’s doing at The House of Machines, a new spot in the Arts District. 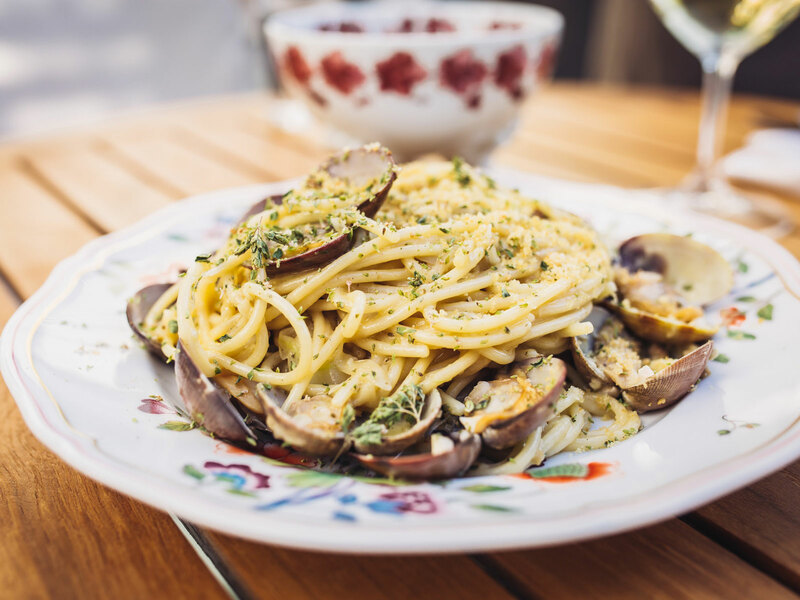 Casey Lane, the chef behind Venice mainstay The Tasting Kitchen, has opened two hotel restaurants. Viale dei Romani in West Hollywood’s Kimpton La Peer is a modern trattoria with wood-fired seafood and pasta alla piastra, which is a lasagna with many thin layers and what’s billed as the “world’s best Bolognese.” Breva at downtown L.A.’s Hotel Figueroa serves Basque-style tapas and dry-aged rib eyes. 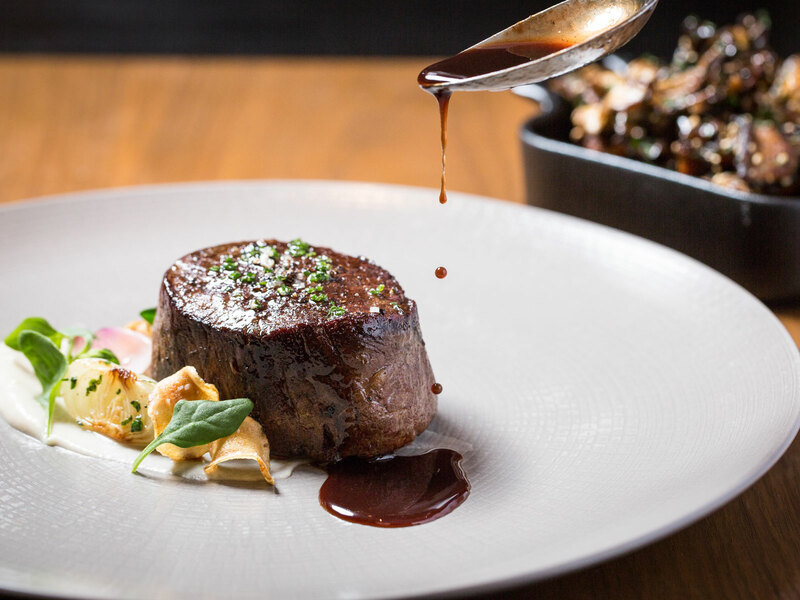 Michael Mina, whose recent L.A. expansion includes Cal Mare at the Beverly Center, has opened Bourbon Steak Orange County at the ultra-luxurious Monarch Beach Resort in Dana Point. Guests can enjoy Mina’s signature butter-poached dry-aged steaks and lobster pot pie. Executive chef Bryan Brown is also offering new dishes like beet tartare and a “smokin’ hot” shellfish platter. Mina already has an L.A. outpost of Bourbon Steak at The Americana at Brand in Glendale. 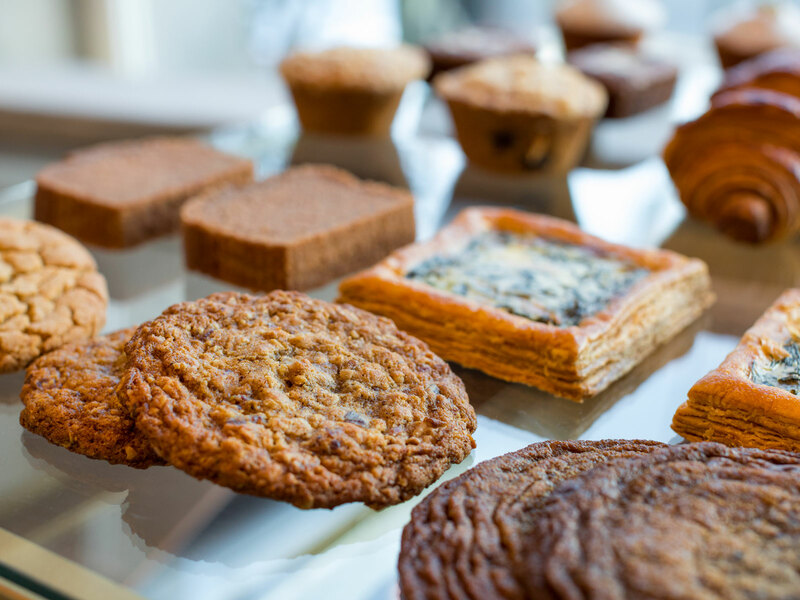 Scout, the new café and general store in Silver Lake, is selling pastries made by ace baker Roxana Jullapat of East Hollywood’s Friends and Family. Scout, created by Beau Laughlin (Sawyer, Kettle Black), is also offering Portland-based Heart Coffee as well as fast-casual and grab-and-go meals. Menu highlights include pumpkin seed granola, a spicy fried chicken sandwich and a vegan wrap with heirloom quinoa. And, in case you missed it, Nancy Silverton’s famous chopped salad is now at Sweetgreen locations all over the country. Silverton has also opened Triple Beam Pizza, which is serving pay-by-the-ounce Roman-style slices, cut with scissors, in Highland Park. Is L.A.'s Hippest Bakery Coming to New York?